Circular Logic Marathon: One Week Away!!! 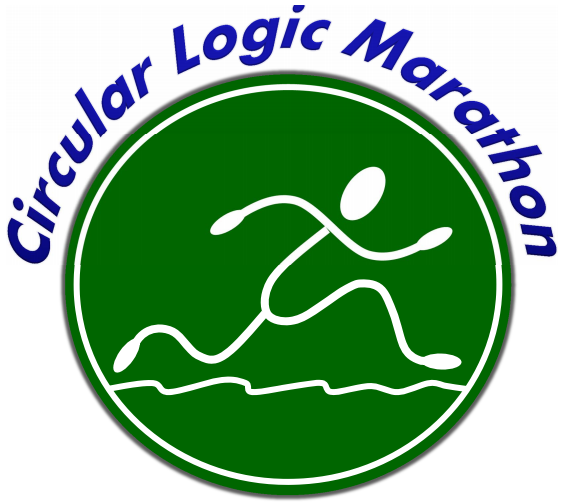 - The 2014 Circular Logic Marathon is a sell-out! Each full marathon and relay team slot has been spoken for. - There are Wait Lists for both the full marathon and relay teams. Albeit, at this late stage, entry is not guaranteed. 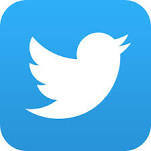 Find out more using this link to get directly to the UltraSignup registration page. Click Register and go to the Wait List for your event. - Forecast: We are just now starting to get our first long-range weather forecasts and they are looking great! Tuesday before the event looks to be the last day for a significant threat of precipitation. And, the overnight low on Friday looks to be around 32 degrees with temps on event day around 55 degrees under full sun! - The CLM has ONLY 5 (five) formal volunteer positions left open! As the Volunteer Coordinator for the event, I want to thank all those people taking part of their Saturday to give back to our local running club, the Wabash River Runners Club, the hosts of the event, and to all the participants. Without you, this event could not happen. - Food Station Support - Shift 2 (noon-3pm). Contact me directly at mark.acher@gmail.com for more details on these positions or to sign up for one of these positions or to offer to volunteer in any way. - I look forward to again bringing 3 (three) relay teams from Lafayette School Corporation's Sunnyside Intermediate School to participate in this year's event. Our 15 runners, ages 10-12 years old, look forward to sharing the course with and cheering on the other participants while helping their respective team complete the 26.2 mile distance. Watch for our teams on event day: Sunnyside Red, Sunnyside White & Sunnyside Black. - Also, I look forward to supporting a team of JrHigh/HS age runners (along with at least one little brother and little sister) that have banded to together to form 'Team Kool Kids' to take on the relay challenge. Registration open for the 2014 Purdue Half Marathon open just a couple of weeks ago. And, the initial pricing will hold only till May 31st. Register early and start thinking about training. The event registration page is HERE. The City of West Lafayette's Parks & Recreation Department, in conjunction with Performance Running LLC, is proud to provide a training program targeted to the Purdue Half Marathon. Our program, geared to novice and intermediate runners but open to all, will provide participants certified coaching expertise in the areas of shoes and apparel, form and pacing, nutrition, hydration, heat management, etc. over a twelve (12) week period. Plus, we look forward to making use of many of our park locations for weekly group runs. In addition, we will also be offering a novice 5K training program targeted to the 5K event associated with the Purdue Half Marathon. This program will span a six (6) week period. Click HERE for more details or call (765) 775-5110; or, simply come to one of our pre-training, information and sign-up sessions. Sessions will take place in mid-July for the Half program and in early-September for the 5K program. Purdue earned two of the 12 conference awards. WEST LAFAYETTE, Ind. - The Big Ten Conference released its award winners for the 2014 indoor track and field season Tuesday afternoon. The Boilermakers picked up an honor on the men’s and women’s sides. Raheem Mostert was named the Big Ten Track Athlete of the Championships after winning the 60- and 200-meter dashes on Saturday. The junior, two-sport star set the school record in the 60m with a time of 6.63 seconds. He followed that up just over an hour later with a time of 20.73 seconds to break the Big Ten Championships record in the 200m and take gold, and eventually ran the final leg for the Boilermakers’ sixth-place 4x400m relay team. Mostert is the third Purdue male to win Big Ten Athlete of the Championships honors and second two-sport Boilermaker to get the nod. Jon Pullum earned Big Ten Field Athlete of the Championships in 2008 and former gridiron star Rod Woodson was Big Ten Athlete of the Championships in 1987, before the award was split for track athletes and field athletes. Mostert is the first Purdue men’s track and field athlete to win an indoor conference championship in two events for his career, let alone one season. The last Boilermaker to win two gold medals is Rickey Pinkney who won the Big Ten 60m hurdles championship in 2005, 2006 and 2007. He is also the first Big Ten trackster to win the 60m and 200m dashes at the same championships since 2009 when Michigan’s Adam Harris pulled of the feat. The New Smyrna Beach, Fla., native was also named the team’s Sportsmanship Award honoree. On the women’s side, Dani Bunch was named the Big Ten Field Athlete of the Year. The senior thrower adds the honor to the Field Athlete of the Championships award she won in 2012 after recording identical finishes as this year, first in the weight throw, second in the shot put. Bunch is the second Boilermaker woman to earn the Big Ten Athlete of the Year, joining jumper Leah Eber who won the Field Athlete of the Year award in 2012. In the regular season, Bunch went 13 for 13 in terms of events entered and events won. The Mahomet, Ill., native won the Big Ten Field Athlete of the Week award six times this season, a record for Big Ten women’s field athletes. Bunch won the award four consecutive weeks from Jan. 13 to Feb. 3, which tied her for the conference record for most consecutive Big Ten weekly awards with Ohio State’s Christina Manning. Bunch’s awards, though, are the most in a row by a field athlete. The fifth-year senior broke the school record in the shot put and weight throw numerous times throughout the year, with top distances of 17.19m (56-4.75) and 22.35m (73-4), respectively. Her shot put distance is fourth in the country and best in the Big Ten, while her weight throw distance is third nationally and the No. 1 mark in the conference. Bunch was also named the women’s team’s Sportsmanship Award honoree. Mostert and Bunch continue their seasons, along with Cierra Brown and Chukwuebuka Enekwechi, with the NCAA Indoor Track and Field Championships next weekend. The championships, held in Albuquerque, N.M., run March 14 and 15. A full list of the conference awards can be found below.